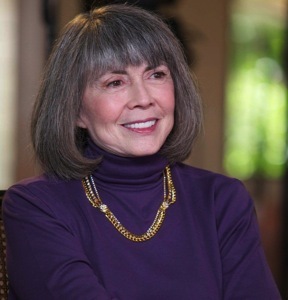 Here’s an opportunity to buy a book once owned by a famous author–Powell’s Books is going to sell 7,000 books from Anne Rice’s personal library. There are currently 363 offerings ranging from classics to reference books to religion. Powell’s plans to add more books over the next several weeks. Included in the collection are editions signed or annotated by Ms. Rice, and many have her library markings on the spines. The collection showcases her love of literature and writing and reveals a true intellectual curiosity — classic philosophy, the Brontes, biblical archaeology, and Louisiana history are just a few of the subject areas represented. Almost half of the books are $7 or less making this an affordable way for Rice fans to own something that once belonged to the author.